Eliminate School Recess? Let's Skip it. Every decade or so educators stumble upon a really bad idea. The elimination of school recess is one such current example. Citing valid, yet, inconveniencing reasons such as liability concerns, supervision hardships, and the pressure to increase academic achievement, some educators see the “all work and no play”, ethic as explainable. This is clearly a short sighted trend that your school will want to skip! After hearing about couch potatoes, sedentary kids, youth obesity, video games playing zombies for the last ten years— Take away school recess?? It simply doesn’t make any sense. School recess offers kids the delights of the outdoors while cultivating a passion for physical activity. Put simply. Recess defines the joys of childhood. As a nation we espouse a concern over latch-key children, locked indoors after school, watching television and playing computers. Won’t eliminating school recess further compound the problem and extinguish most children’s’ only opportunity for outdoor play? For it is recess that represents a unique opportunity within the school day. It is one of the few times that children interact with peers in unstructured activities. This interaction when observed by knowing educators can provide the best indicator of a child’s social/emotional development (Pellegrim, 1994). Play is an active form of learning that unites the mind, body, and spirit. Until at least the age of nine, children’s learning occurs best when the whole self is involved. Play reduces the tension that often comes with having to achieve or needing to learn. In play, adults do not interfere and children relax. Children express and work out emotional aspects of everyday experiences through unstructured play. Children permitted to play freely with peers develop skills for seeing things through another person’s point of view– cooperating, helping, sharing, and solving problems. The development of children’s perceptual abilities may suffer when so much of their experience is through television, computers, books, worksheets, and media that require only two senses. The senses of smell, touch, and taste, and the sense of motion through space are powerful modes of learning. Children who are less restricted in their access to the outdoors gain competence in moving through the larger world. Developmentally, they should gain the ability to navigate their immediate environment (safely) and lay the foundation for the courage that will enable them eventually to lead their own lives. There is an age old adage, “Don’t throw out the baby with the bath water.” Recess is not only a really, really good idea, it’s also the most popular activity school offers. 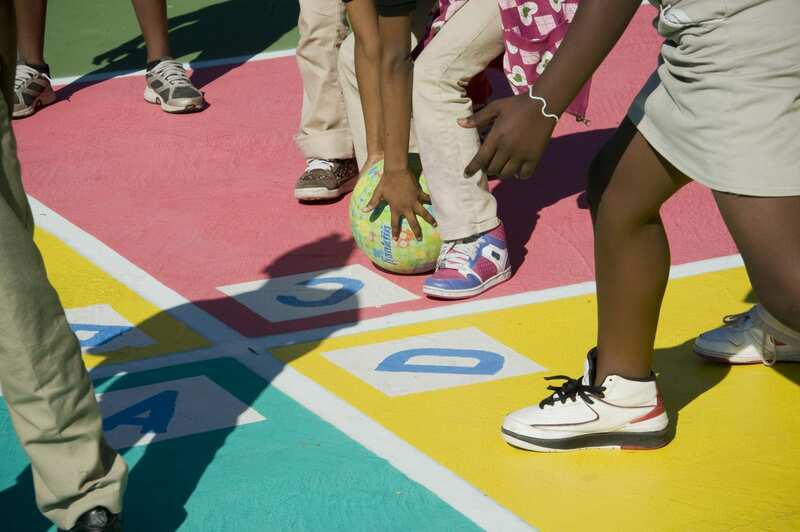 Surveys show that 8 out of every 10 students list recess as their favorite activity in school. So how about let’s fix it? One such example of a successful intervention program that was cited in the October 98 issue of School Safety Update a publication of the National School Safety Center which communicates current trends and effective programs in school safety. The playground intervention, Peaceful Playgrounds. After the program was introduced at E. Hale Curran Elementary School in Murrieta, California, the results produced immediate and significant reductions in injuries, doctor referrals, and disciplinary referrals, despite large enrollment increases. 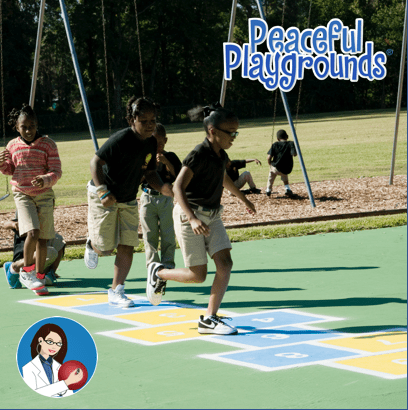 Organizing the playground area around game markings which disperse the children in organized activities. Teaching and practicing conflict resolution strategies which the students use to resolve their own interpersonal problems, freeing supervisors to supervise. Providing ample game opportunities and equipment so that children don’t have to wait in line or compete for a playing spot. Providing consistent expectations through training all staff members in the school, not just the playground supervisors, in behavior rules and game rules. And then providing training and re-enforcement each year for staff and students. What principal wouldn’t like to see an 86% drop in disciplinary referrals? Or better yet, how about an 83% drop in injuries on your playground? This is just one example of a school’s commitment to making the playground a safe and peaceful place for children. Certainly, there are many more. As we all know, society has become increasingly complex– impacting the life of a child. Who can disagree with the notion that children need more time to feel the sun and the wind on their cheeks and put simply more time to PLAY. Children experience learning in a whole new way when they relax, challenge themselves with unfamiliar tasks, like crossing a six-foot high monkey bar or negotiating with a peer to solve a problem. Aren’t these important skills that we want to encourage in America’s children? Ignoring these important skills denies children the opportunity to self-regulate their behavior and analyze how their behavior effects others. The Columbine High School incident reminds us all of our responsibility to youth and that it is never to early to begin this important work. With all the difficult issues schools are faced with today, leave recess alone. Ask any child between 6 and 16, it’s the one thing in school that doesn’t need fixing. Like the cup of Starbucks for adults, recess is one of the few daily pleasures left that all children should be able to count on. Melinda Bossenmeyer, Ed.D. is the author of Peaceful Playgrounds. She is a nationally known speaker on playground safety and play facilitation. She is Director of Professional Development in the College of Education at California State University San Marcos.